The San Miguel Beermen have failed to claim the vaunted Grand Slam once again. With their finals loss against Ginebra, the Beermen relinquished its Commissioner’s Cup title, and in effect lose their chance to win all three championships in 2018. Four years after the last triple-crown season, San Miguel can’t seem to make their way towards the Mount Rushmore of Grand Slam teams. Ever since the league’s inception, only five teams have swept all the championships in a season: 1976 and 1983 Crispa, 1989 San Miguel Beer, 1996 Alaska, and 2014 San Mig Coffee. That’s only five out of the 43 PBA seasons, including this year. With the huge influx of talent year after year, winning a Grand Slam has become more difficult as it was before. Just look at the gap between the last two season sweeps. It took 18 years before a team followed up what Alaska did. Yet, San Miguel is still expected to do the same almost immediately after the last. But then again, a star-studded like the Beermen will always be projected to at least contend for the title every conference. Half of San Miguel’s roster is arguably included in the upper echelon of the PBA today. June Mar Fajardo already claimed four Most Valuable Player trophies and seven Best Player of the Conference awards under his name. Arwind Santos won the MVP once and Defensive Player of the Year twice. Chris Ross and Alex Cabagnot were part of past Mythical Team selections. Marcio Lassiter and recent additions Christian Standhardinger and Matt Ganuelas-Rosser received call-ups to play for Gilas. 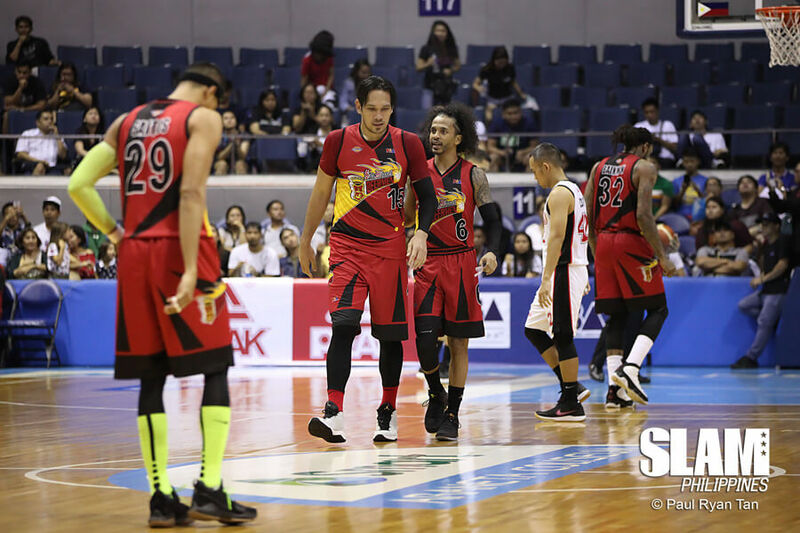 But even with a strong local core, the Beermen still can’t get over the hump and claim what fans think is a long overdue Grand Slam. Thus, this question: What does it take for a team to sweep the season? The 1996 Alaska had a stable team that’s perfectly built within a system to dominate the competition. Coach Tim Cone’s first Grand Slam with Alaska was a manifestation of their decade-long dominance. From 1990 to 1999, the Milkmen won nine out of the 31 titles in contention—the most any PBA team amassed during that period. Part of it was due to the stability that Sean Chambers provided for the team. The Milkmen core also remained healthy and intact for the duration of the season. The only notable move for them was the exile of import Derrick Hamilton, who was replaced by Chambers during the Commissioner’s Cup. 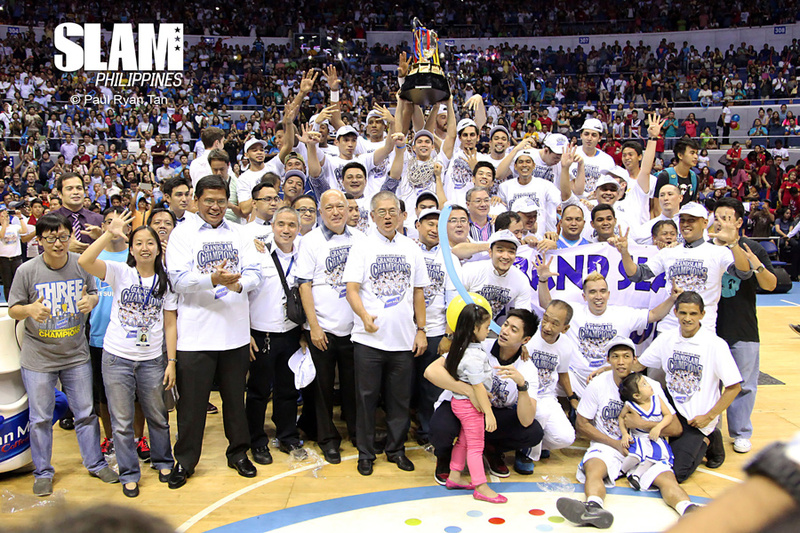 In contrast, the 2014 San Mig Coffee had a tumultuous run towards their Grand Slam. They weren’t a dominant team in its truest sense. Cone’s Alaska led the league in wins throughout 1996. San Mig Coffee didn’t even crack the top three of all the elimination rounds in 2014. With an aging core, some of the main players had to be sidelined for some games just for rest. But because of their stout defense, the Mixers found ways to win when it mattered the most. It certainly helped that James Mays and Marqus Blakely turned out to be one of the greater imports during that year. There is no exact formula to clinch a Grand Slam. Alaska and San Mig Coffee took different paths to arrive at such feat. A strong roster can only bring a team close to it. But truth be told, talent is not enough to sweep a season. A team needs everything to go its way for a chance to win it all in a year. Just ask Talk n Text about it. Fatigue, injuries, subpar reinforcements and championship hangovers can derail a team’s campaign towards the treble. San Miguel had to deal with bits of these problems as they moved forward their unsuccessful runs from 2015 to 2017. The Beermen’s Grand Slam campaign was spoiled by Ronald Roberts’ winless stint, Tyler Wilkerson’s dugout drama, AZ Reid’s injury and a succession of less-than-stellar imports as well as injuries to marquee players. Even if the Beermen looked like a runaway winner on paper, it’s not like the other teams were pushovers. 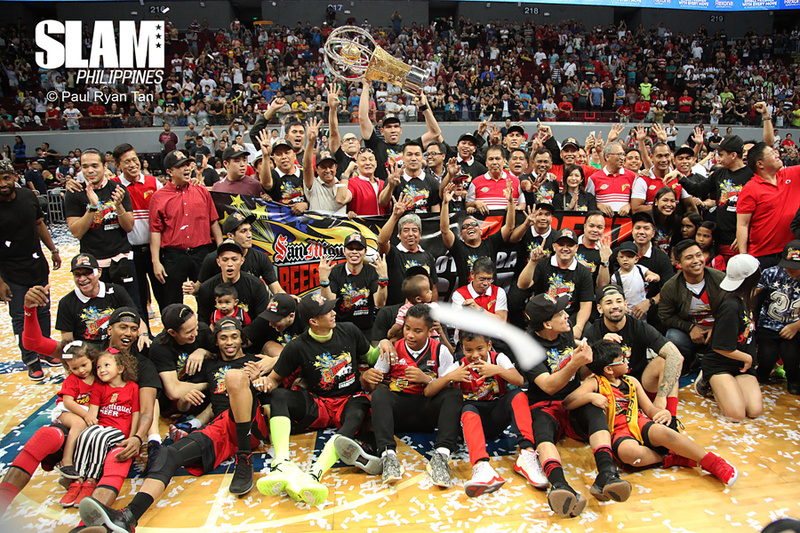 TNT re-emerged as a championship team behind Jayson Castro. Rain or Shine remained tough to beat towards the end of the Guiao era. Barangay Ginebra rekindled its #NSD spirit with the arrival of Cone and Justin Brownlee. And as the talent level became better, San Miguel faced steeper competition year after year. Does this mean that this iteration of San Miguel is inferior compared to Alaska and San Mig Coffee? Clearly, there is something about the Grand Slam that makes teams which earned it legends. But not having it doesn’t invalidate one team’s place at the pantheon of all-time PBA greats. That is the case for San Miguel. Even without the Grand Slam, they are the best team in the league today bar none. This ongoing dynastic run by the Beermen is impressive to say the least. As the wins pile up, the targets on San Miguel’s backs grow bigger, while the length of their playing duration becomes longer. In the process, they have to face hungrier teams with fresher legs. Their success should have taken its toll by now, yet they’re still competing. For San Miguel to continuously find ways to win in convincing fashion shows that this team is more than just a collection of strong players. They are only the second team in the PBA to win a Perpetual Trophy. Moreover, they are the only team in league history to win four straight Philippine Cup titles. While Talk n Text and San Mig Coffee shared the dynasty in the early part of the 2010s, San Miguel claimed the throne in recent years. 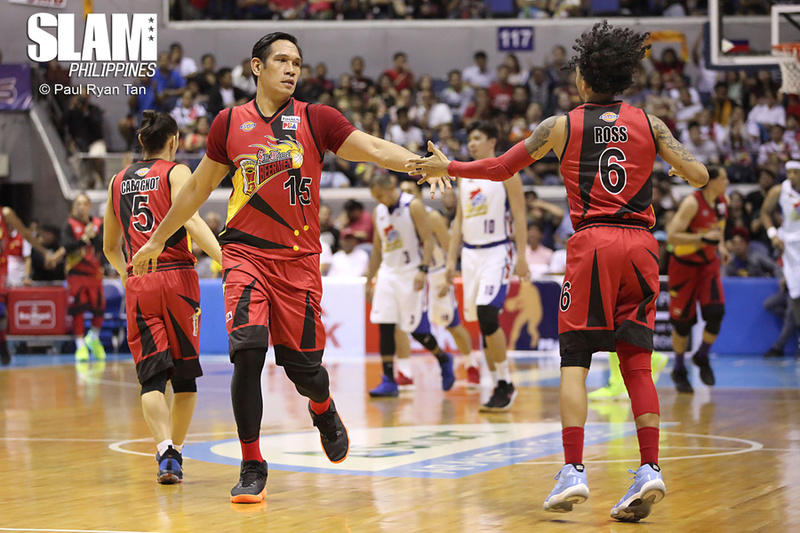 The Beermen won six out of the last 11 PBA titles, more than what the Tropang Texters (4 titles from 2011 to 2013, 1 title in 2015) and the Mixers (5 titles from 2012 to 2014) achieved in this decade. In fact, only three other teams have won six titles in a span of three years prior to present day San Miguel: Crispa (1975-1977), San Miguel (1987-1989) and Alaska (1996-1998). This puts the squad at par with three Grand Slam-winning teams. No other team won more than six in the same amount of time. San Miguel is still the best in the PBA today. To say otherwise just because they haven’t swept a season (maybe not just yet) is completely wrong. Honestly, they should be included in the talks about the best PBA teams—ever. This statement is not bound by the condition of whether Fajardo and Standhardinger can extend this dynasty for at least three more years, or whether they can win it all in the next few years. This is the case now, with or without the Grand Slam.